So far in this young century, few wildlife conservation issues have galvanized more Americans than whether or not Western state governments ought to allow grizzly bears to be hunted again. On Monday, September 24, 2018, U.S. District Judge Dana L. Christensen in Missoula, Montana, resolved the matter for the foreseeable future. 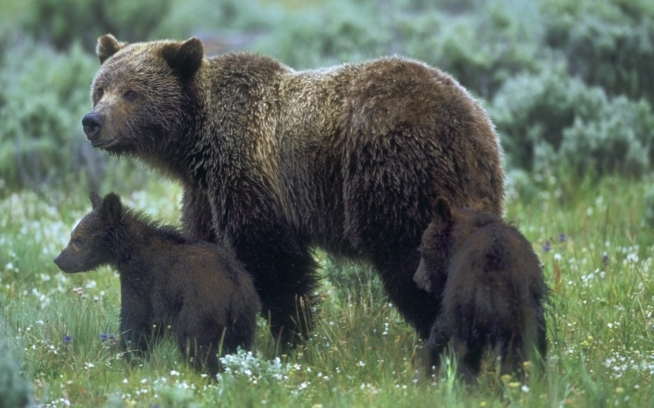 In a 48-page decision, Christensen ordered that grizzlies inhabiting the Greater Yellowstone ecosystem be restored to protected status as “threatened” under the Endangered Species Act. Trophy hunts planned for this autumn in Wyoming (targeting 22 grizzlies) and Idaho (one bear) have been postponed indefinitely, much to the delight of millions of bear advocates and 200 indigenous communities. As big a victory as it was for the bears, though, the decision could also prove huge for other species, too. 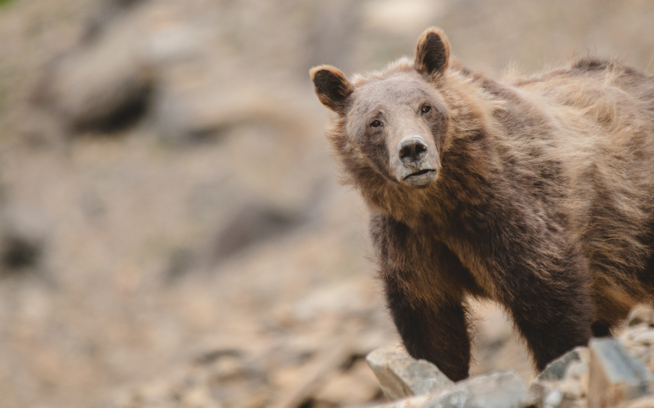 While rebounding numbers of grizzlies in the 22.5-million-acre Greater Yellowstone region have been touted as a great conservation success, it remains to be seen if a resilient population can withstand major threats that will likely never abate. The judge also used more stinging words, such as “illogical” and “disingenuous” to describe the government’s action to declare bear recovery completed. America’s leading scientists know that fragmented, geographically isolated populations of species are more vulnerable to suffering collapses than larger, interconnected “meta-populations” covering wide areas. Even though the core of Greater Yellowstone’s grizzly population has grown from an alarming low of 135 bears or fewer decades ago to more than 700 today, it remains essentially an island of bears cut off from contact and intermixing with four other equally isolated clusters of bruins. Grizzlies in three of those (northern Cascades, Cabinet-Yaak and Selkirks) are eminently imperiled, and one, the Northern Continental Divide Ecosystem encompassing Glacier National Park along the U.S. border with Canada, has hundreds of bears, as Greater Yellowstone does, but they exist apart. The Selway-Bitterroot, in physical terms, represents roughly a halfway point between Yellowstone and Glacier national parks. Frank van Manen, leader of the Yellowstone Interagency Grizzly Bear Study Team, says that bears from both ecosystems are roughly 100 miles apart from meeting, but it could take several years before contact is made, let alone viable bear populations filling the public lands between. In his decision, Christensen alluded to the direct parallel that can be drawn with gray wolves. In the upper midwestern states of Minnesota, Wisconsin and Michigan, wolves had federal protections restored because individual populations were not intertwined geographically—thus failing to meet the standard laid out in the Endangered Species Act of animals reoccupying a significant portion of former range in order for recovery to be considered complete. Christensen’s decision reverses the removal of federal protection that happened in 2017. Yet it actually marks the second time that Greater Yellowstone grizzlies have been “relisted” after being “delisted.” In 2007, the bear population was also downgraded but concerns about the dramatic decline of a key food source—tiny nutritious seeds found in the cones of whitebark pine cones—forced the Fish and Wildlife Service to conduct another biological assessment and put state plans for trophy hunts on hold. Climate change, arboreal disease outbreaks, mountain beetle infestations fueled by warmer temperatures and wildfire have decimated the whitebark pine forest. Meeting criticism from independent bear scientists, the Fish and Wildlife Service and researchers concluded the collapse of the whitebark pine forest would not jeopardize the future of bears. Christensen didn’t specifically mention the mounting threats to grizzly persistence, but conservationists such as Bonnie Rice do. Already this year, nearly four dozen grizzlies have died, most of them in various kinds of run-ins with people, including management removals due to conflicts with domestic livestock. Such conflicts, experts say, are only expected to rise. As bears range farther in search of alternatives to natural foods being negatively impacted by climate change, and as human development and recreation pressure continue to squeeze habitat, humans will need to work harder to keep bears alive, Rice says. Promoting better means of coexistence between people and bears isn’t easy, however. Earlier in September, a beloved Wyoming hunting outfitter was killed by a grizzly mother and cub northeast of Jackson Hole as he was helping his out-of-state client retrieve an elk that had been felled with a bow and arrow. The bears were subsequently destroyed. Some hunters strongly disagree with Mangelsen and condemned Christensen’s ruling. Montana-born Ryan Callaghan, who works as conservation director for hunting-gear manufacturer First Lite, has faith in the states’ ability to responsibly manage bears. He is convinced that Greater Yellowstone’s grizzly population is stable and healthy enough that hunting can be tapped as a useful management tool. Preso expects that the states will appeal the court decision and likely be joined by hunting organizations like Safari Club International that had expressed its enthusiastic support for bringing back a trophy season. The chief game warden of the Wyoming Game and Fish Department, Brian Nesvik, has noted that grizzly management has cost the state more than $40 million since bears were first listed as threatened in 1975. By that figure alone, bears could be labeled a burden. But it fails to account for the huge—and growing—amount of commerce being generated through nonconsumptive nature tourism, aka wildlife watching. 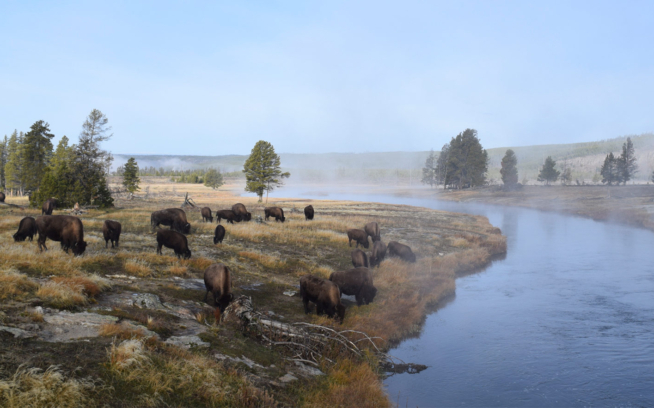 Each year, more than $1 billion nature-tourism-related dollars are generated for the regional economy by people coming to Yellowstone and Grand Teton national parks alone. Seeing grizzlies, wolves and other wildlife are among the highest priorities for tourists. “These bears deserve our care. The threats to their survival will never go away,” said Dr. Jane Goodall a few days ago during a visit to Jackson Hole. She is among a group of prominent people who praised Christensen’s ruling. 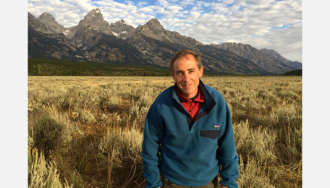 Todd Wilkinson is an award-winning environmental writer whose work has appeared in National Geographic, The Guardian and Washington Post. The author of several books, he recently founded the non-profit journalism site Mountain Journal in Bozeman, Montana.